Point-and-click reporting, management, and delegation. Quickly report and manage users and groups. Easily delegate management tasks. Get a free trial of DSRAZOR for GroupWise today! Effectively manage GroupWise - no scripting required! Fully customizable tools to suit your needs. 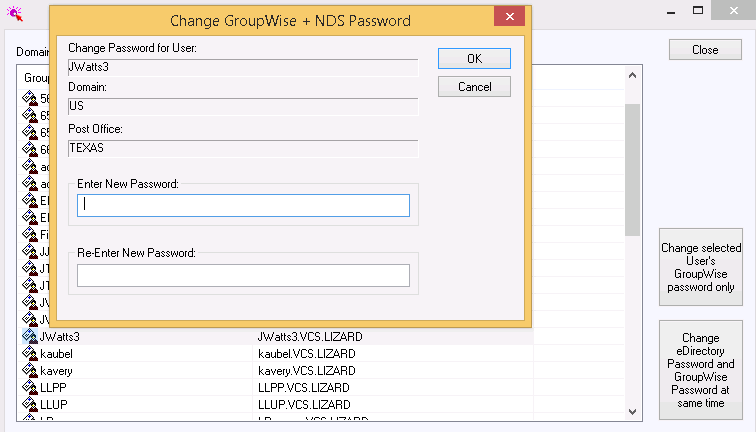 Allow non-admins to perform GroupWise management functions. Delegate the small stuff, focus on the big stuff. With the Zero Privilege Help Desk your help desk operators will no longer require Admin rights. The Zero Privilege Help Desk enables your non-admin users to complete their work without compromising your control and security. The Zero Privilege Help Desk is compatible with all DSRAZOR for GroupWise management applets. DSRAZOR includes 1 YEAR of our world class support! We'll make sure you can take advantage of everything DSRAZOR has to offer. Our rapid-response support team can assist with any questions you may have. Need more? Just ask! We'll create a custom solution that fits your needs. © 2019 Visual Click Software . All Rights Reserved.